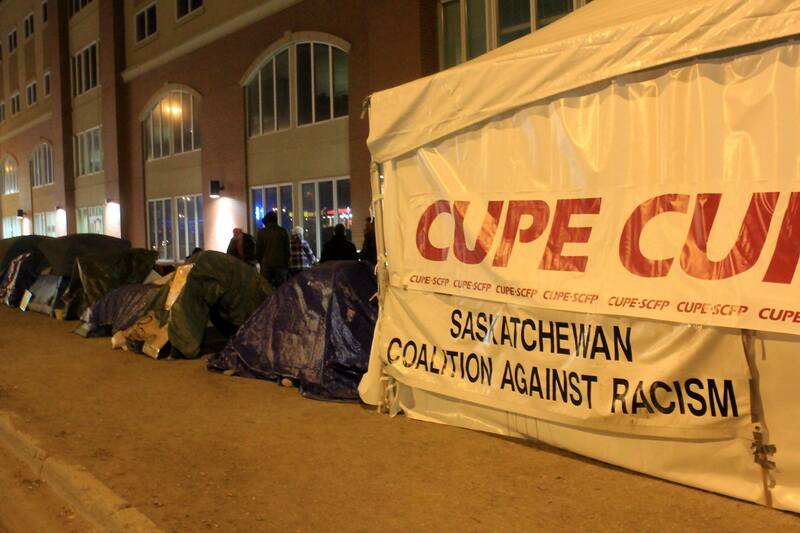 Regina – Protesters camped outside the offices of Indigenous and Northern Affairs Canada (INAC) in Regina got some material support from the labour movement on Wednesday afternoon when a large festival tent was set up on site by CUPE Saskatchewan. The tent was a response to a request from the union’s own Aboriginal Council. 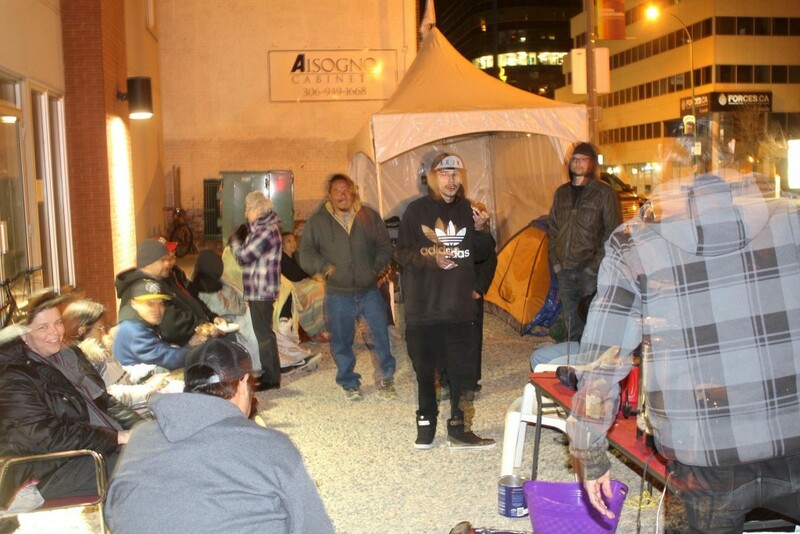 The protesters have been camped outside INAC’s regional offices since April 18 in conjunction with occupations of INAC offices across Canada in response to the crises of youth suicides in Attawapiskat and the terrible conditions in many First Nations communities across Canada. The encampment, known on Facebook as “Colonialism No More – Solidarity Camp Regina,” is rolling out a list of demands and concerns, the first of which was met when senior INAC administrators met with the camp earlier this week. The participants have immediate concerns about the state of living conditions in Saskatchewan communities like La Loche and the Cote, Key and Keeseekoose First Nations. But they also seek an end to the “Band-Aid” solutions to what they call “Canada’s ongoing colonialism,” which they say is embodied in the Indian Act, a 140-year-old piece of federal legislation they want to see revoked. The camp, located at 1827 Albert Street, welcomes visitors from all walks of life and has seen a steady stream of donations of home-cooked food, blankets, and other supplies in addition to curious people dropping by to ask questions and chat over donuts and coffee. Camp participants can be contacted via their Facebook page or in person on site.